At the end of the exhibition, photos were given to organization supporters, but the group was compelled to continue to bring attention to their cause. 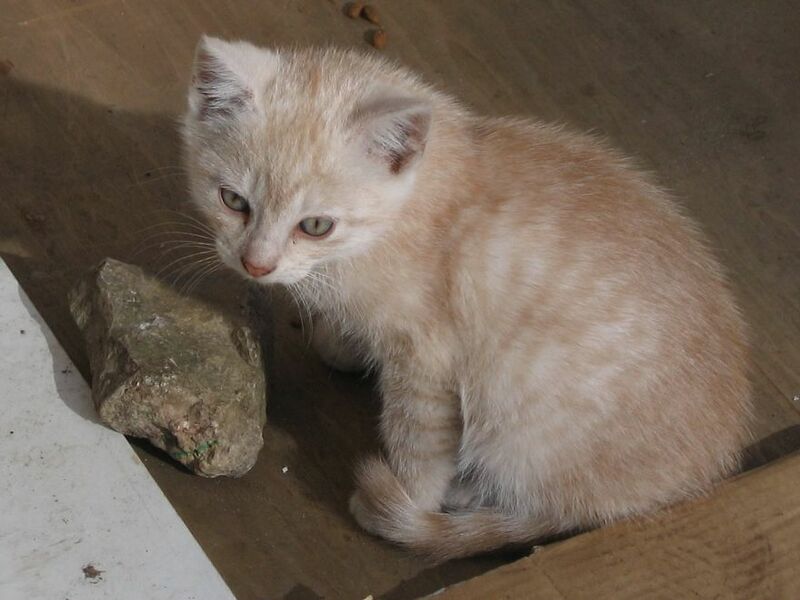 Anastasia belongs to the Cat Care Community in Riga. the capital of Latvia. 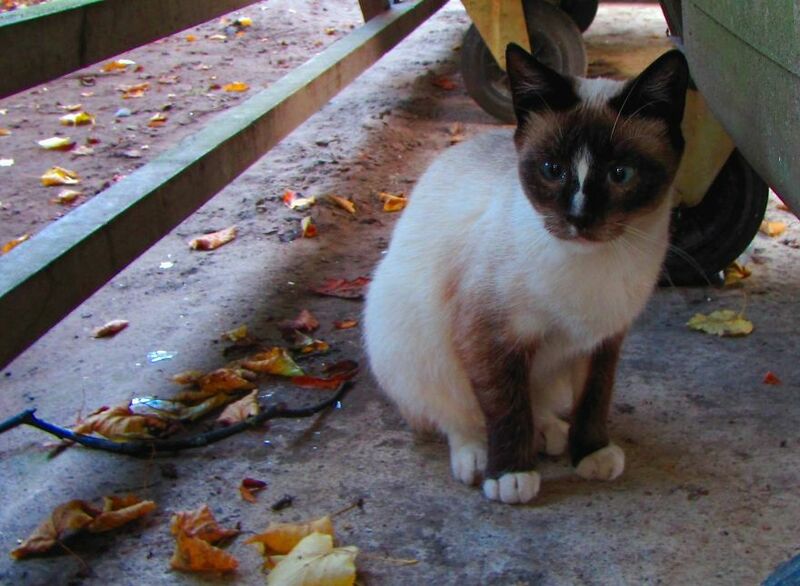 She told us that during Autumn, the rescue group had the opportunity to bring attention to the plight of the many street cats in their city with a photo exhibition held at Robert’s Books, an English language book seller. 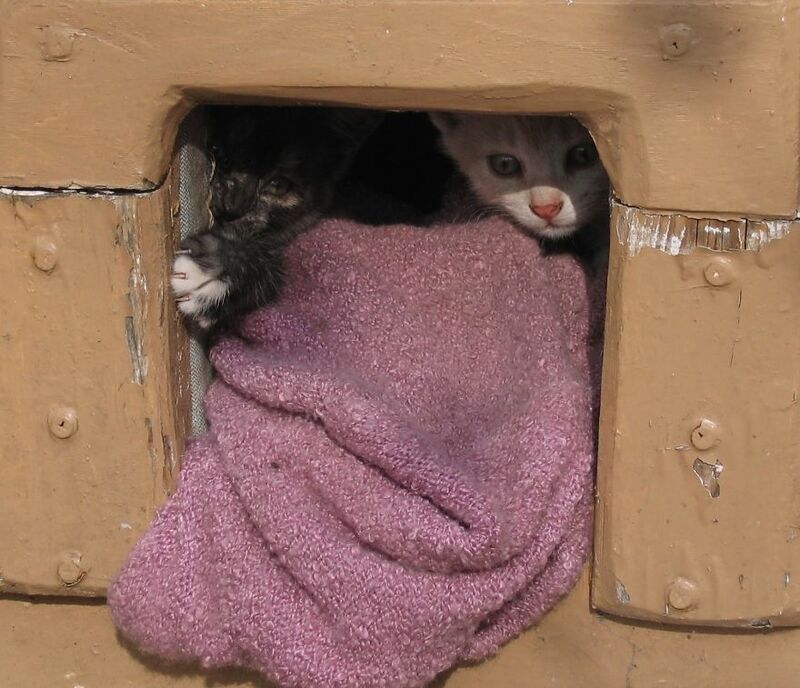 Sometimes people help street cats and make wooden houses for them. 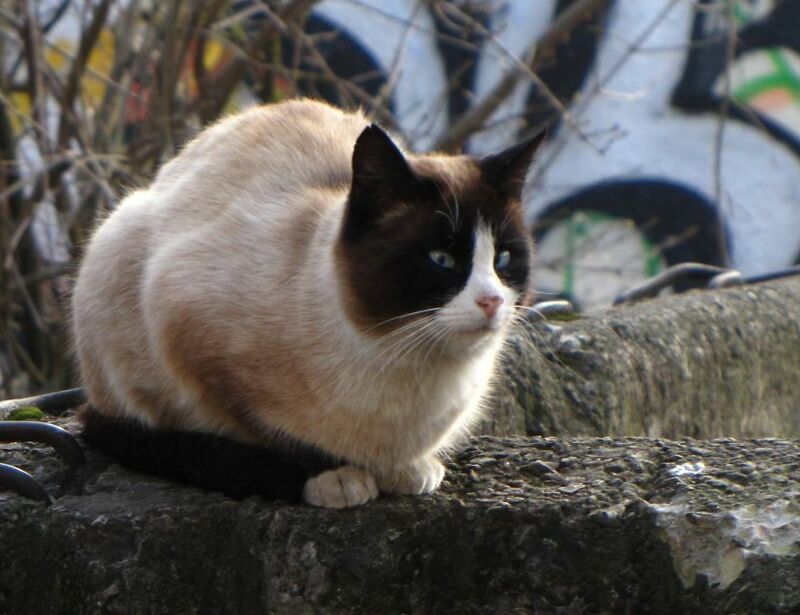 There are a lot of cats living on the street all over the world. And, one of the European city, Riga is not an exception. 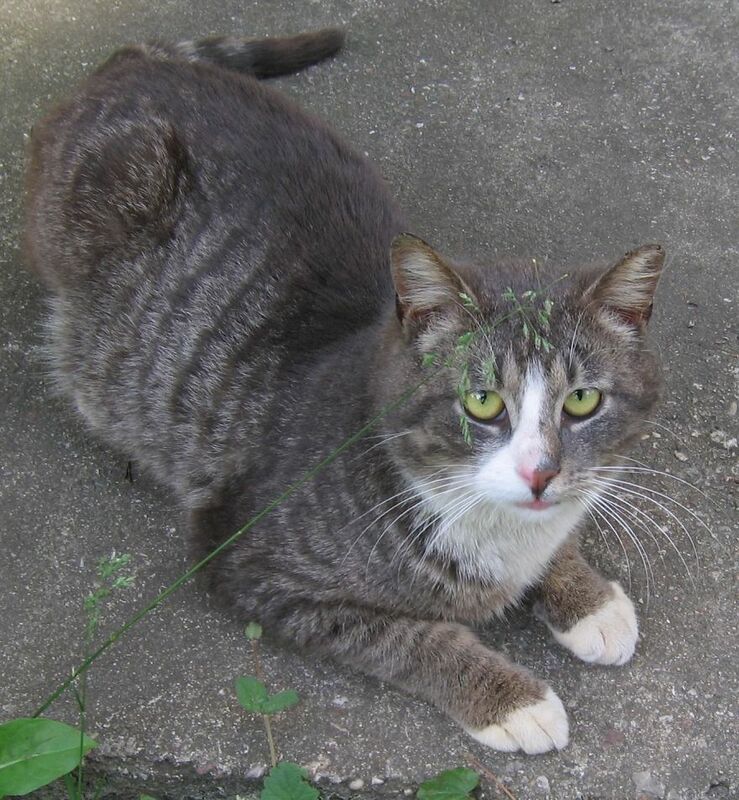 There are hundreds of feral cats. One of the local cat care non-profit organization decided to show the world street cats who deserve our love, care and attention. 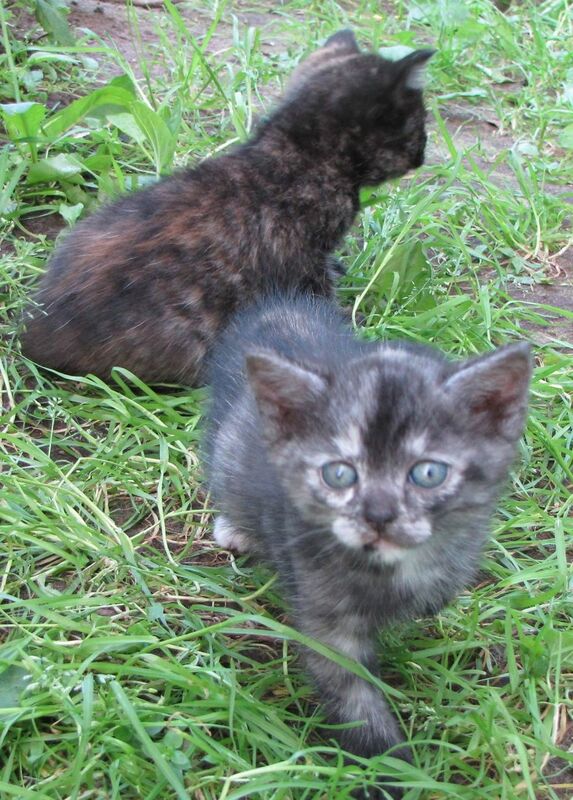 One of the little kittens born this year. His mommy still was not sterilized. 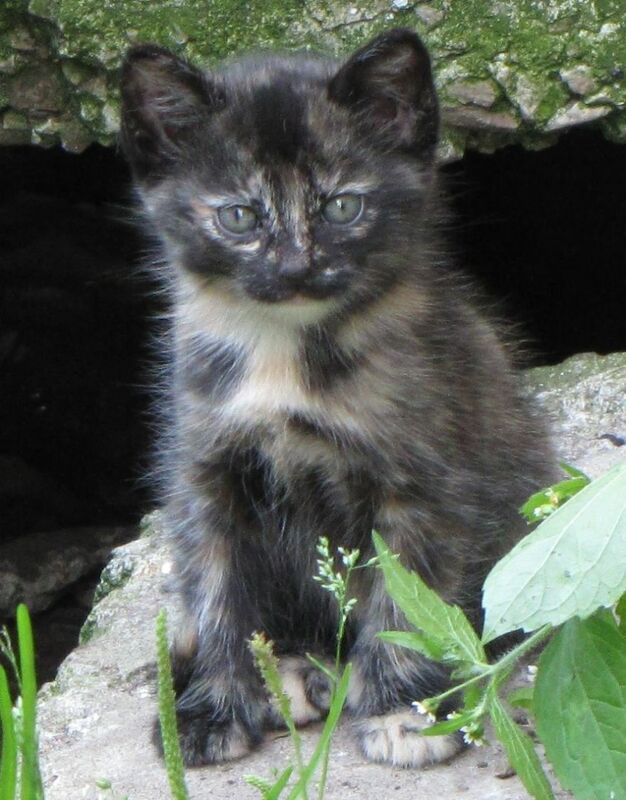 Cat Care Community has spent the last year making the photos and helping street cats find real loving home. Photographing cats has been the main key to bringing the world that each of the cat has a story to tell. 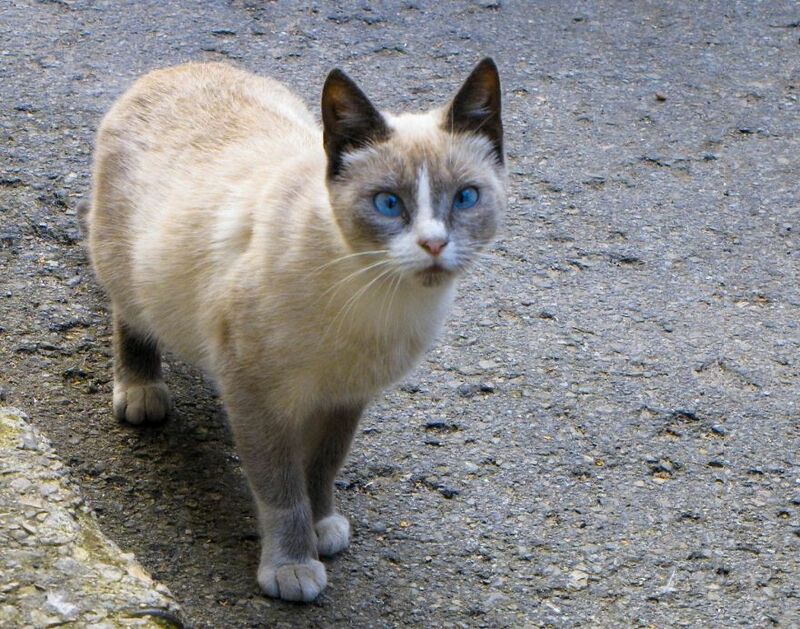 This cat has very beautiful blue eyes. 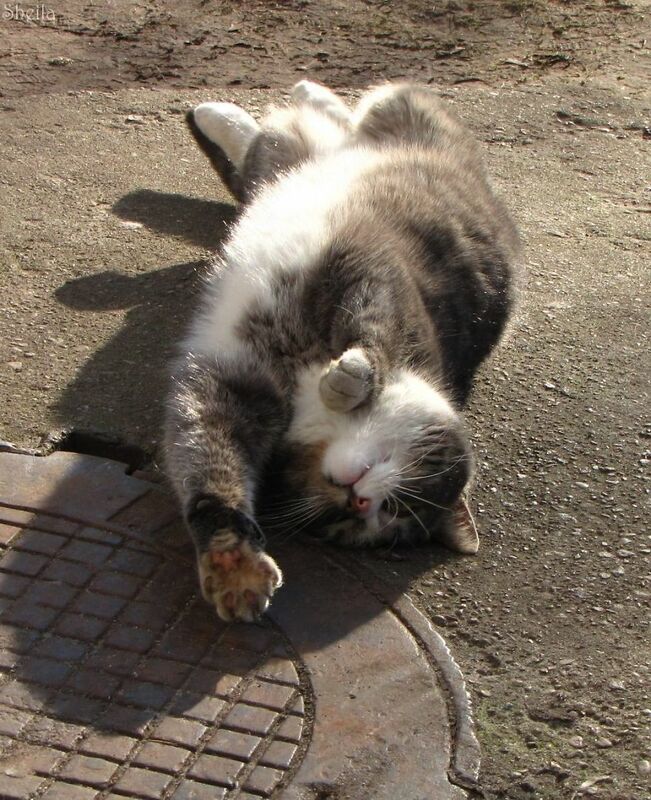 It is difficult to believe that so many cute cats are living on the street. 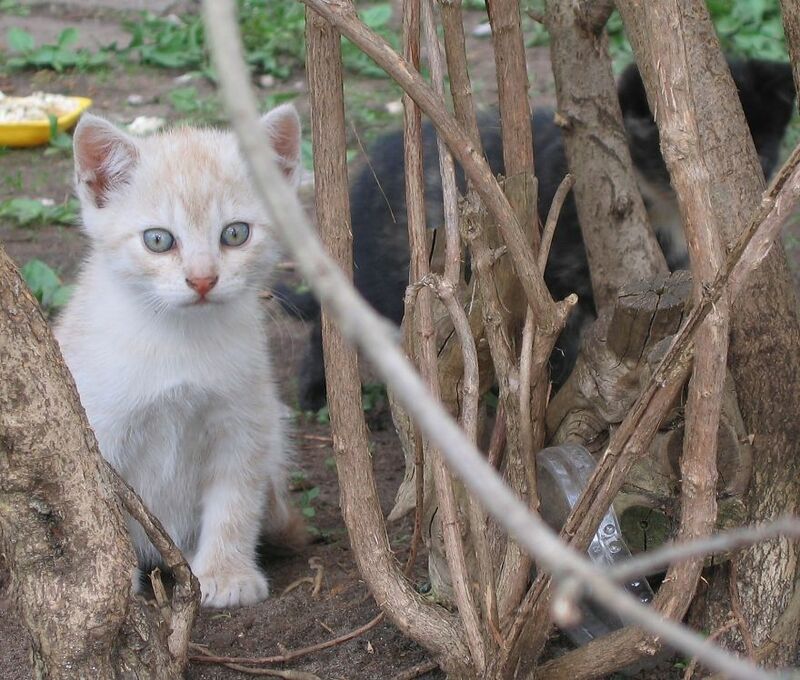 Many people argue about that street cats are not safe for humanity, but there are different Trap-Neuter-Return programs, that works great and helps to control population and health problems of street cats. 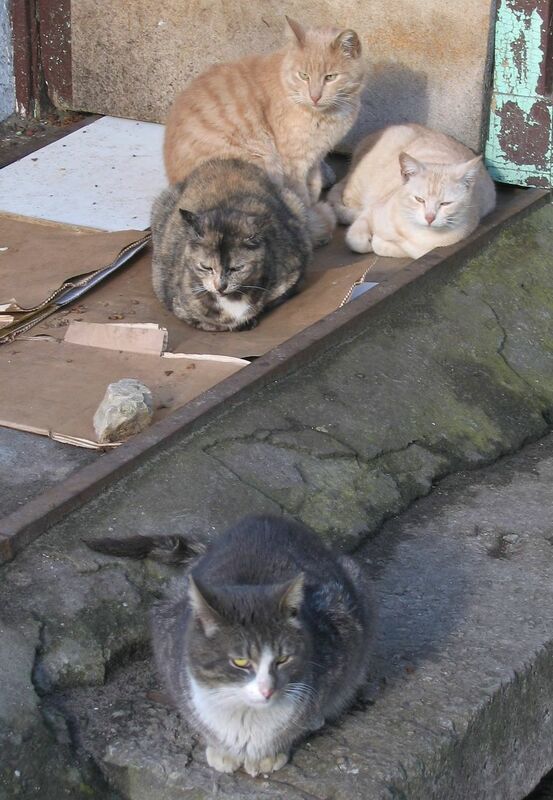 One of the communities of street cats in Riga district. It is not the cats fault they have no forever homes. It is humans all the way. Humans are lazy, greedy, and selfish creatures who only think about themselves. 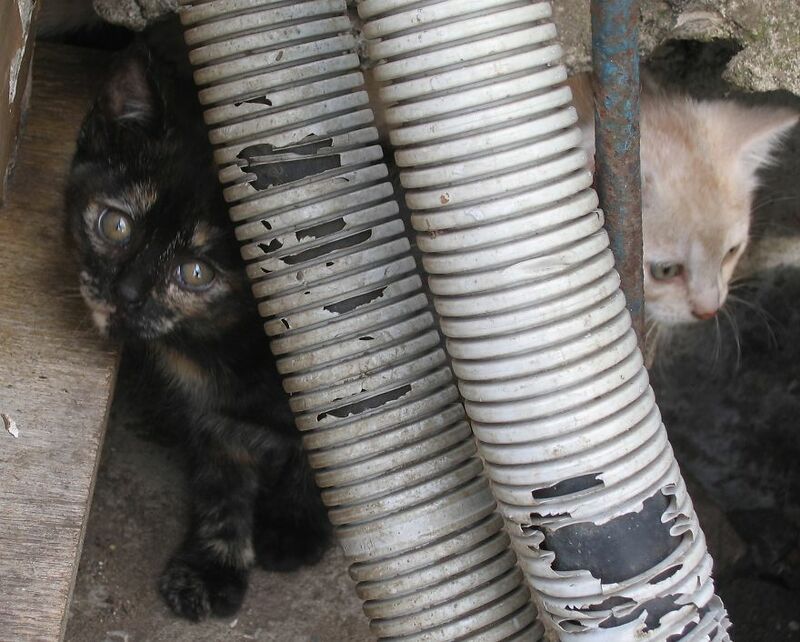 It is the very very rare humans who care for the cats like these ones here. When society stops thinking about animals as disposable, then only then can we be called humans! Thank you to to the good souls and true humans who care for these kids in need.